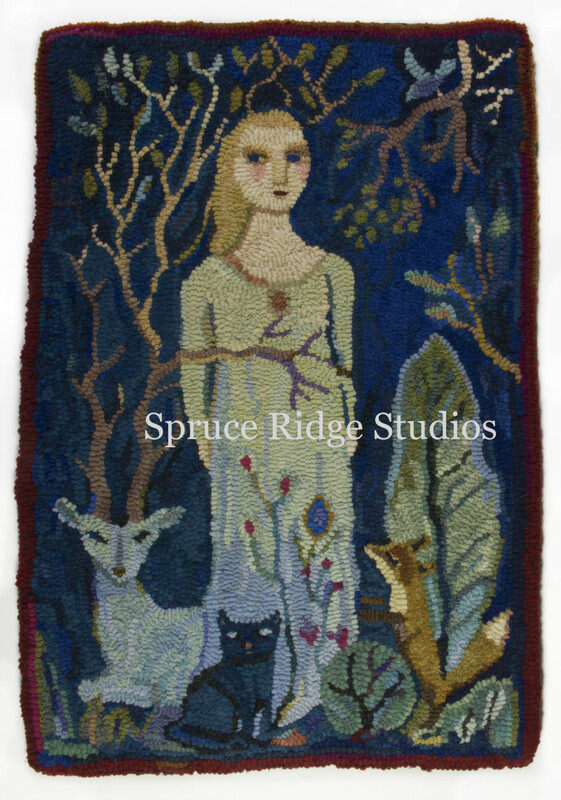 The original rug is depicted in the book Rug Hooking Journeys: Finding the Maker in the Rug by Tamara Pavich. Ann's idea for the design was inspired by a book of Norse myths. I love the dream-like feeling of her original hooked rug. I think the dark background is a must.